TET (Ivan Attitude x(Call Me Carla x Glamoureyez)) Sev. 32" scapes, 6" flowers, 3 way branching with 27 buds.Named after my cousin Alex because he is such a heartbreaker!! Just kidding Alex! This is truly a one of its kind type of flower. 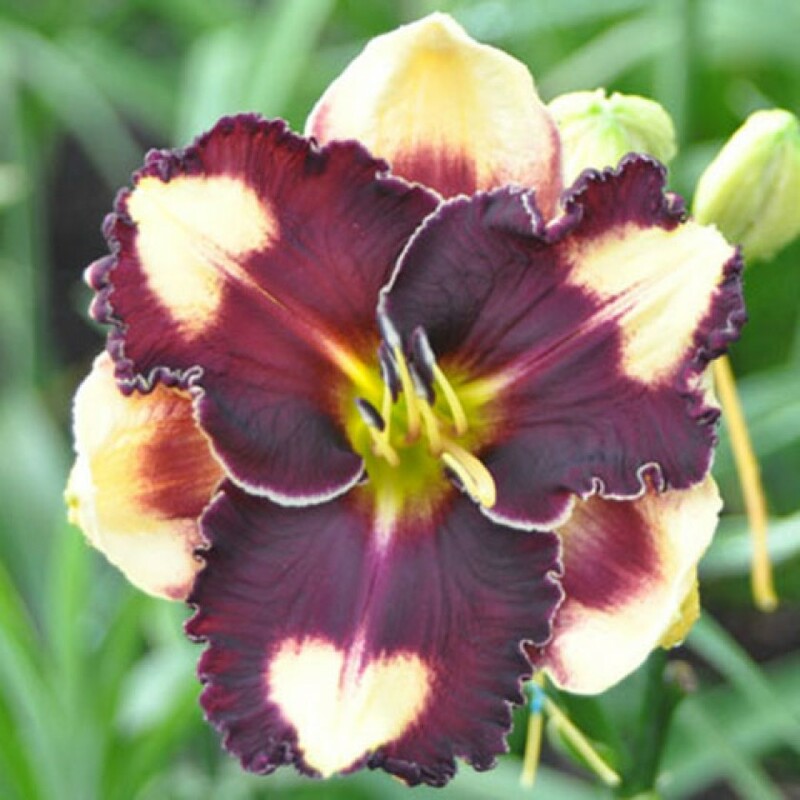 Large flowers standing on tall scapes have very dark eyes of a black cherry maroon color. Matching thick heavily ruffled edges make perfect heart patterns. Not to forget, the edging appearing on the blunt sepals makes one think this flower will be an important parent to take you to edging along the entire sepal. An all out must have! Fertile both ways.